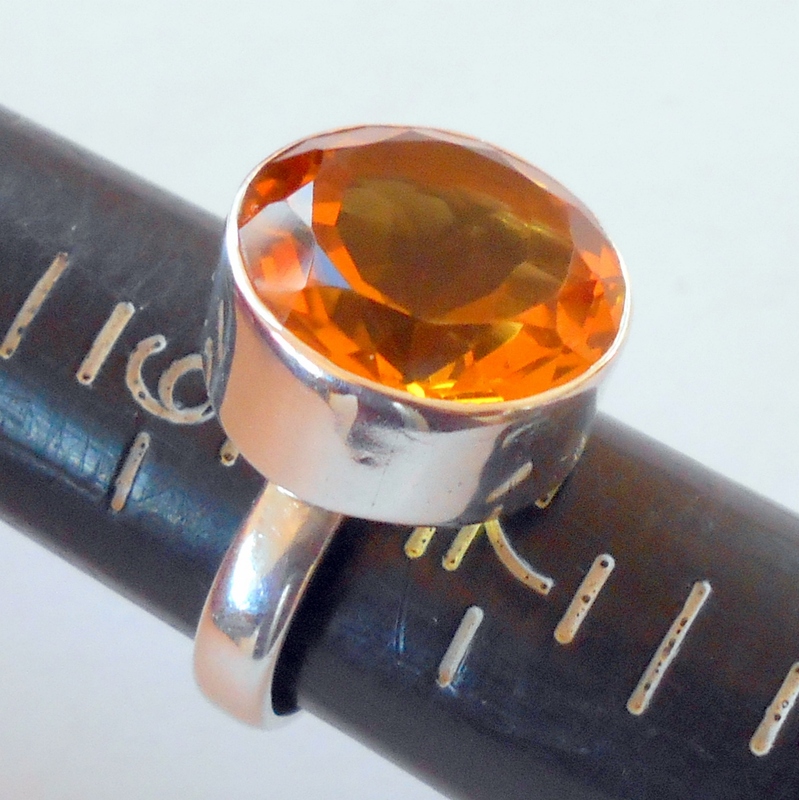 Golden citrine gemstone set on a sterling silver ring, size 6.5. Citrine is a gemstone of manifestation that encourages optimism, and attracts abundance and prosperity. 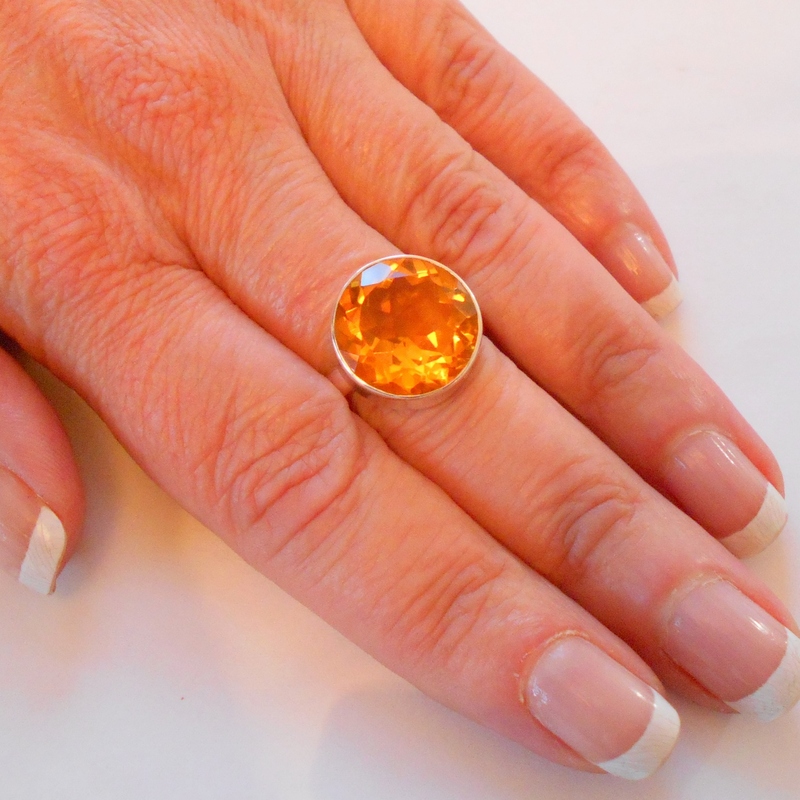 Citrine aids the digestive system and metabolism and can be useful in weight loss. Size 6 1/2, not adjustable. 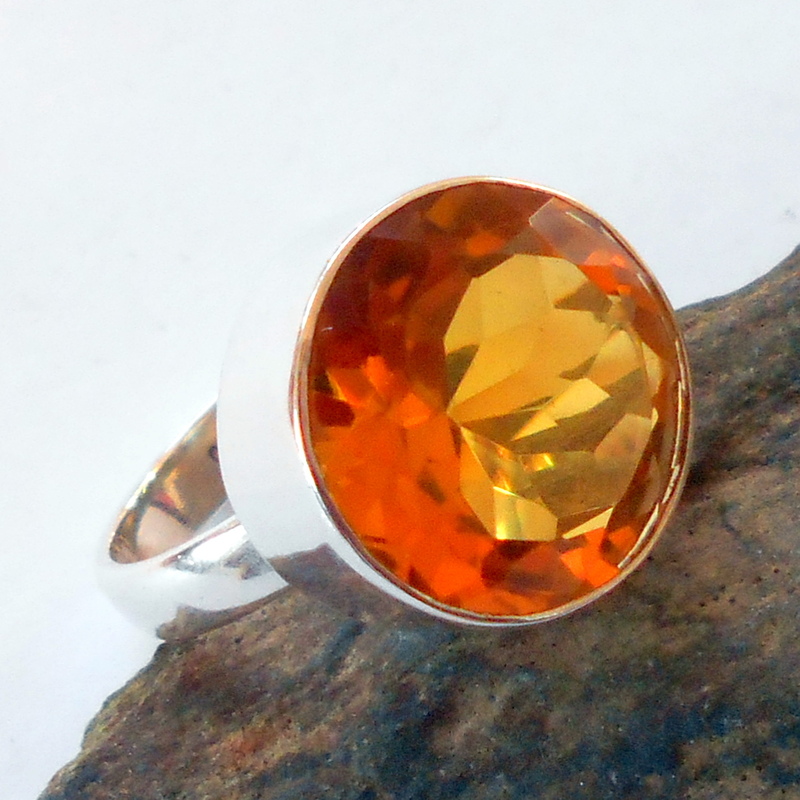 This stone has been heat treated to enhance the color. This ring is a set size, not adjustable. If you do not know your ring size, you can print a free ring sizing kit here. Please keep in mind, if you love the ring and it's not your size, it may fit you on a different finger.